Now, Canadian audiences can revisit their favourite moments on the big screen, as the pair challenge societal norms and race against time on the ill-fated ship. Cineplex Events is celebrating the 20th anniversary of this well-loved film by bringing Titanic back to theatres! With the film celebrating such an important milestone, we’re taking a look back at some of film’s most iconic moments that have become engrained in popular culture. Rose trusted Jack, and the result was exhilarating. Our jaws dropped when Rose asked Jack to draw her wearing the heart of the ocean. This iconic line has also spawned some pretty amazing memes. She had so much more fun hanging out in third class! Even as Jack drifted to the bottom of the ocean, we knew that Rose would never let go. But, we’re pretty sure they actually could both have fit on the door. Just saying. We wanted to reach through the TV and grab it! We could take all our friends on cruises for life with the money from that necklace. This moment was so iconic that it was referenced in a Britney Spears music video. 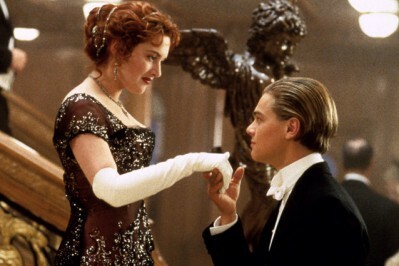 Part of CineplexEvents’ Classic Film Series, Titantic screens across Canada on February 5 in 3D and February 15 in 3D. Visit Cineplex.com/Events/ClassicFilmSeries for theatres and showtimes!